Black and White and Loved All Over: Nashville Fashion Bloggers. They Exist. Nashville Fashion Bloggers. They Exist. When I first got into the blog world -- not very long ago -- I assumed that there were very few fashion bloggers based out of Nashville, which is where I was born, raised, and live today. Turns out, I was wrong. There are plenty -- and many, I'm sure, that I haven't come across yet. Not only are there plenty but they're actually fabulous and quirky, and many of them are nationally revered. 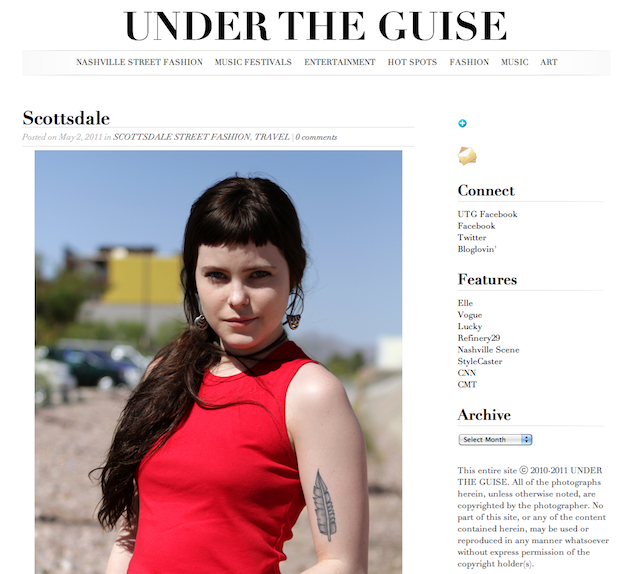 Under the Guise - Surprisingly rad Nashville street fashion photography by Heidi Jewell. 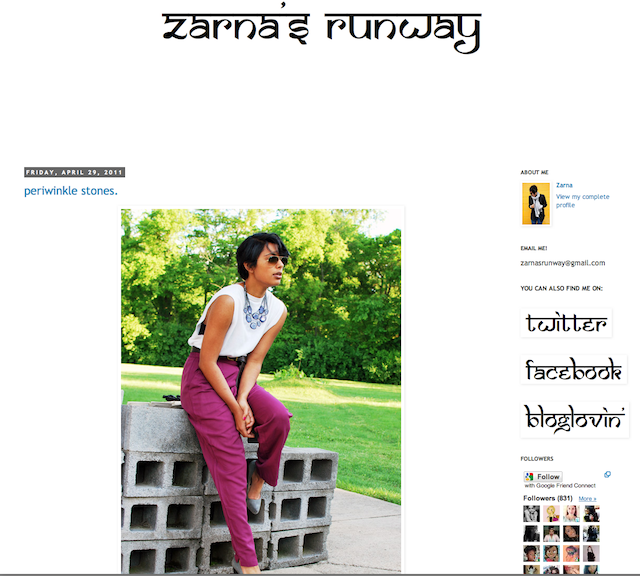 Zarna's Runway - A personal blog with a vibrant mixture of Indian and American fashion. 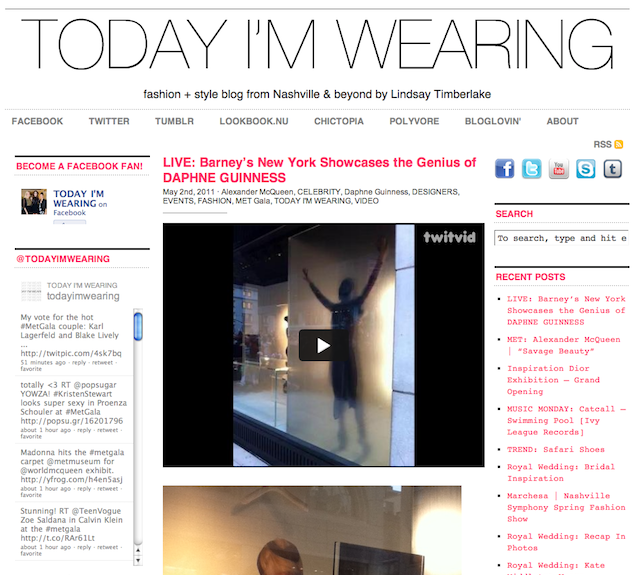 Today I'm Wearing - A fashion and style blog by East Nashvillian Lindsay Timberlake. 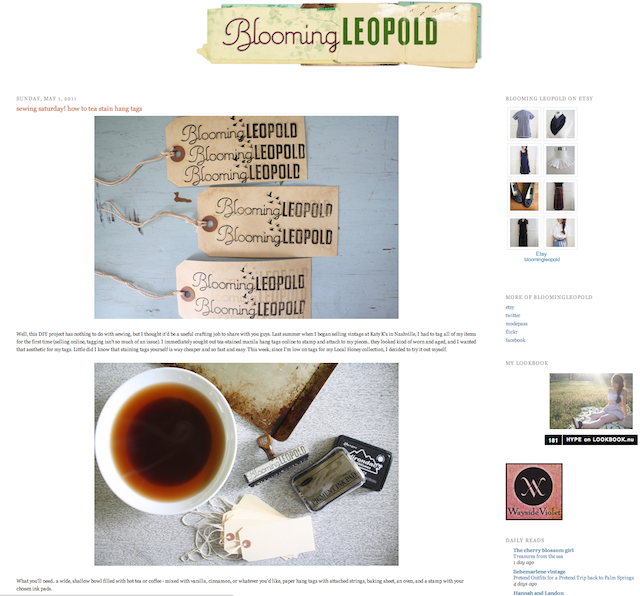 Blooming Leopold Vintage - A personal style blog + online vintage shop. 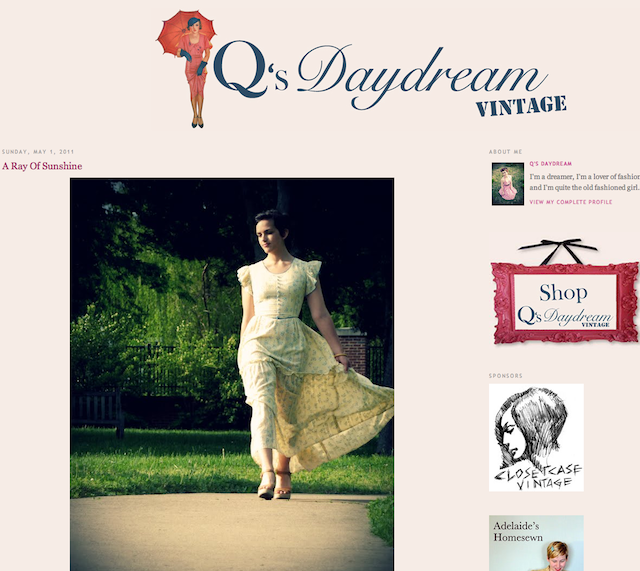 Q’s Daydream - A personal style blog + online vintage shop. 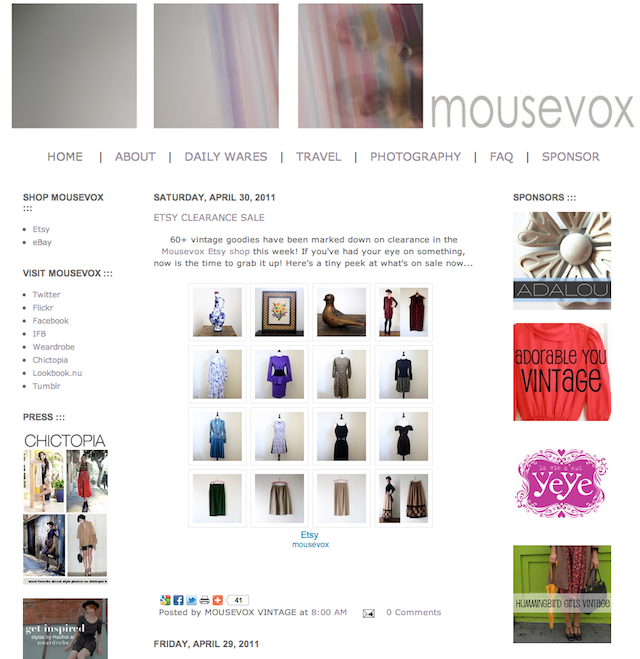 MouseVox - A blog supporting an online vintage store + a personal style blog. 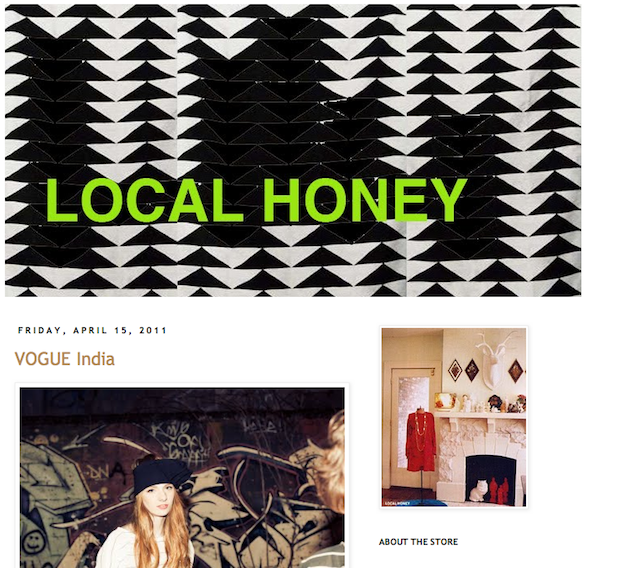 Local Honey - Blog supporting terrific local vintage and locally made shop. 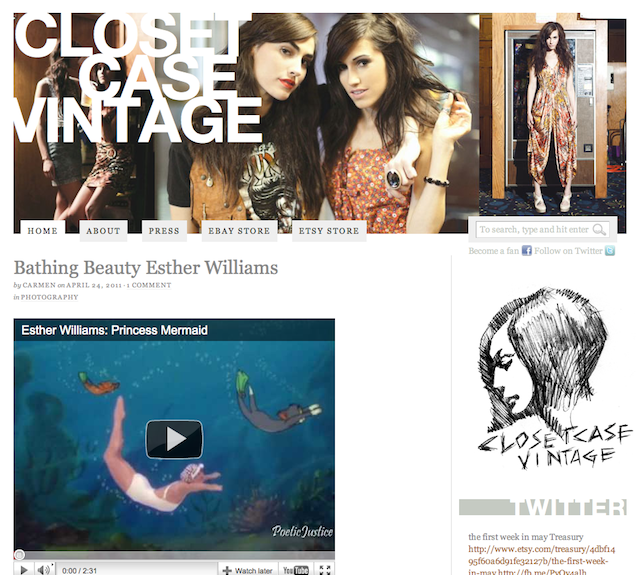 Closet Case Vintage - Gorgeous blog supporting local vintage shop(s). Thanks for posting. I lived in Nashville for whole life, then moved to NY for two years and starting fashion blogging and have since stopped since I moved back...and I found you and maybe 2 or 3 other bloggers so thanks! The networking aspect in NY was so amazing and I would love to be able to find that same vibe here in Nashville. Meetups?? that's quite the list! they all look good. will have to come back and check them out with more time. this is fabulous! thanks ellen. Lily is sleeping. husband is out on the balcony talking to his sister. finally got a chance to look through all of those great blogs. I really enjoyed them. thanks for posting these! i'm in nashville and always love finding blogs from the same area. @Lu I checked out your old blog - it's so great. I've never participated in a blogger meetup but I think it sounds like a great idea. @Claudia, Thanks for checking them out. You're so sweet. @Rae, You're welcome. I'm pretty stoked that they exist. Wow just now saw this!!! Thank you so much for featuring TODAY I'M WEARING. I am a new fashion/lifestyle blogger blogger here in Nashville, and I am so happy to find other bloggers near by - can't wait to read through all of these and get into the loop! Nashville Fashion Blogger here! Love this! I feel like its a ghost town around here in Nashville. Thanks for posting this list! I moved to Nashville a few months ago from NY and it's so amazing to see such a vibrant style culture here. I love following local bloggers and seeing what they're posting. It gives me inspiration for my own posts too!